For a number of years now, the bigwigs who control the country music output from Nashville’s Music Row have been chipping away at the UK market. We have had the odd live date, occasional press visits and the increasing availability of releases via the expanding platforms. However Saturday March 16th 2013 may well become a watershed day when a sledgehammer was put through the barrier formed on the perception that the UK doesn’t do country. Of course this is doing a disservice to the mass of home grown and touring talent that has been bubbling under the surface since the heyday of the Wembley festival. Yet the scale of the operation carried out under the Country to Country banner is unprecedented especially in the electronic age of mass instant communication. On this first instalment of a two-day early spring festival, four A-list artists were unleashed on what is becoming the nation’s highest profile entertainment venue with the mission of bringing modern mainstream country music to the masses. It was definitely a smart choice Saturday as a combination of Tim McGraw, Little Big Town and Vince Gill had enough diversity in their arsenal to broaden appeal and deliver a show that highlighted once again how country music houses a wide range of styles. All three are established performers at the top of their game and they were ably joined by Kristian Bush who is striving to emerge from the shadow of Sugarland and enhance his solo status. Tim McGraw was awarded the headline slot and thoroughly respected the adoring crowd with a set list that encompassed his 20 year career as an eminent performer. He may draw criticism in some quarters with his rock star posturing and pushing the genre to the edge but he knows what he does and delivers a first class high energy performance. His latest album TWO LANES OF FREEDOM is gathering critical acclaim and heading to legendary status so it was inevitable that several of its standout tracks were featured in the set. ‘Nashville Without You’ is fast becoming a personal favourite and was outstanding on the evening while the exceptional title track had its rightful place at the heart of the encore. Although it was a little disappointing that ‘Southern Voice’ wasn’t aired, the wonderful ‘Everywhere’ was perfect compensation, while the charismatic main set closer ‘Live Like You Were Dying’ echoed around the cavernous North Greenwich Arena (Sorry O2! but you’re only the sponsor). 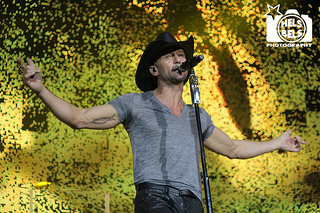 Big arenas are not the perfect setting for many acts but they definitely suit Tim McGraw. If perhaps you belong to the school of thought that Tim McGraw encroaches a little bit too much into the sphere of rock, then the set of Vince Gill would have resonated a lot more. 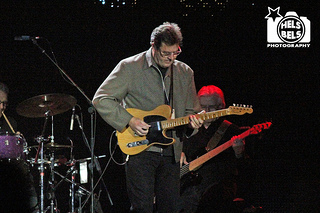 The legendary singer-songwriter – virtuoso guitar player is a giant of American not just country music and for an hour and a quarter his talents lit up the arena with a sound that straddled the factions of the genre. The traditionalists would have loved the trio of pedal steel laden gems that featured early in the set including the sublime ‘Take Your Memories With You When You Go’. Gill often referred to his slower numbers as ‘pretty songs’ but was prepared to sprinkle his set with a mixture to ensure maximum exposure of his breathtaking guitar skills. The title track from his recent album GUITAR SLINGER, ‘Pretty Little Adriana’ and ‘Oklahoma Borderline’ all were fine examples of what he can do when increasing the tempo a little. It was a canny move to enlist the services of Vince Gill as his ambassadorial status will ensure the generations are bridged. 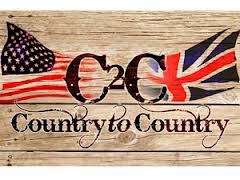 This is essential for country to progress as a stand-alone genre and not blur into the world of rock and pop. For over fifty years country music has been under attack from the spreading wings of popular music which has often been successful in snaring artists who stray a little too far away from the core. This is as relevant in 2013 as it was in the Nashville Sound days of the early sixties. Therefore it is good to see bands like Little Big Town keen to stay true to their roots despite residing on the lighter side of the genre. The four piece interchangeable vocal band who are currently riding the crest of the wave of their most successful album to date, TORNADO, were for me the anticipated highlight of day one and they didn’t disappoint. It was immensely satisfying to hear live the two best of tracks from the brace of recent albums in ‘Sober’ and ‘Little White Church’ but as is often the case other songs can have their status elevated when experienced in person. ‘Tornado’ was an example from the latest album while the quartet also amusingly accepted the challenge of delivering a countrified version of Lady Gaga’s ‘Born This Way’. Amongst established favourites such as the country radio smash ‘Pontoon’ and atmospheric a capella intro to ‘Front Porch Thing’, Little Big Town fuelled the comparisons to Fleetwood Mac with a version of ‘The Chain’. This band had everything and confirmed their growing status in country music. 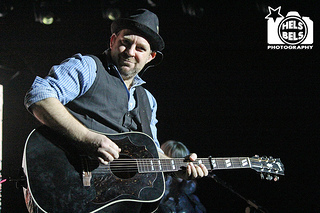 Kristian Bush had the difficult task of launching the festival while many punters were enjoying the free music being offered outside the arena by selected UK artists. In contrast to the perceived view that his set may be along similar lines to his CMA singer songwriter dates, he rose to the challenge of rocking the arena and succeeded by the end of his fairly short set in getting people off their feet. With the added bonus of being flanked by the exceptional talent of Larkin Poe, Kristian Bush showed glimpses that there may be a fruitful post- Sugarland career if his destiny is in this direction. At the conclusion of day one, there was an extremely positive vibe that Country to Country was on its way to achieving the goal of opening the floodgates for a Nashville invasion. The very respectable turnout must have pleased the organisers and the slick operation made the day an enjoyable experience. Subsequent reports of day two confirmed this as Carrie Underwood closed a festival that had exceeded expectations. Preparation for 2014 is underway and one day you may look back to Saturday 16th March 2013 and say ‘I was there’.